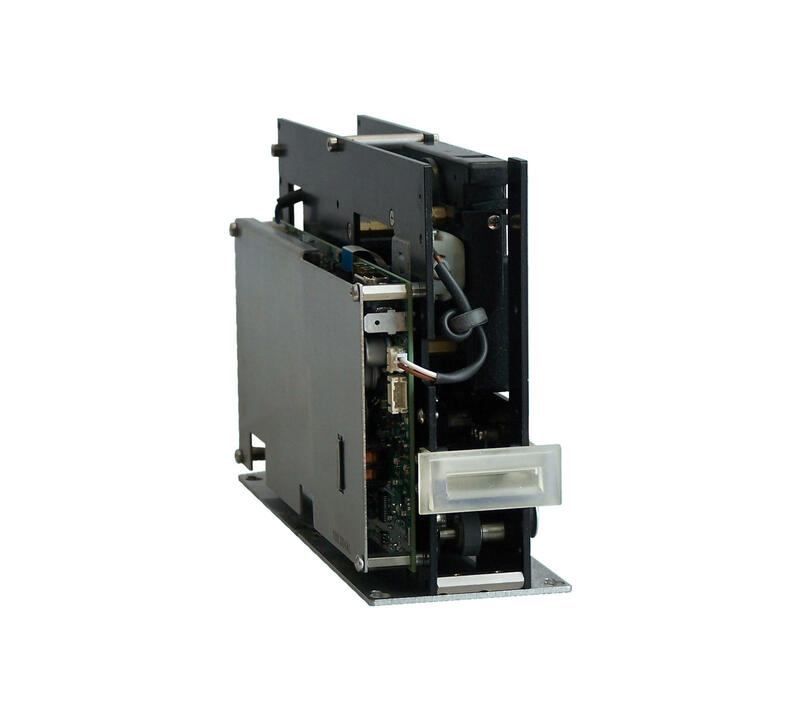 The EDMO FVP module is a very fast and compact device specifically designed to be used as a validator in automated ticket kiosks. 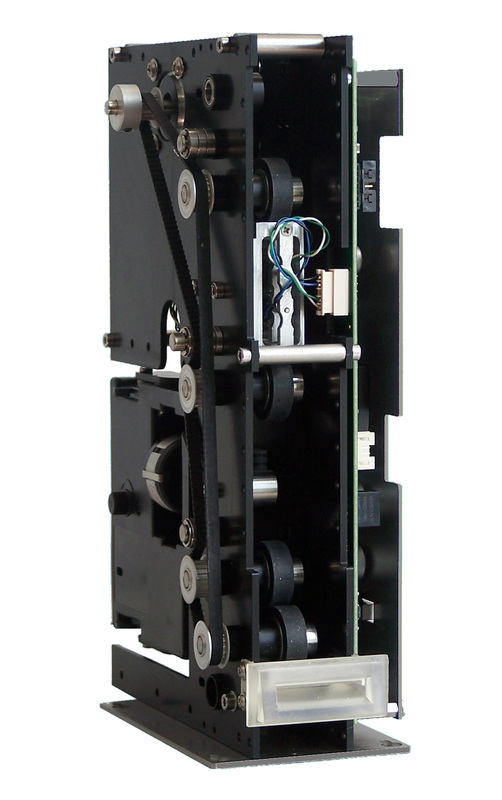 It features a 6.5 mm LoCo or HiCo magnetic head in central position and a longitudinal impact printer. To further reduce the issuing time, as an alternative to a single central magnetic head, it is possible to install a double magnetic head group to encode and verify the ticket in a single run. It is also possible to install Up/Down magnetic heads to allow the ticket to be read in all four possible directions. An optional RFID reader module and a graphic display to show messages to the user can be installed. 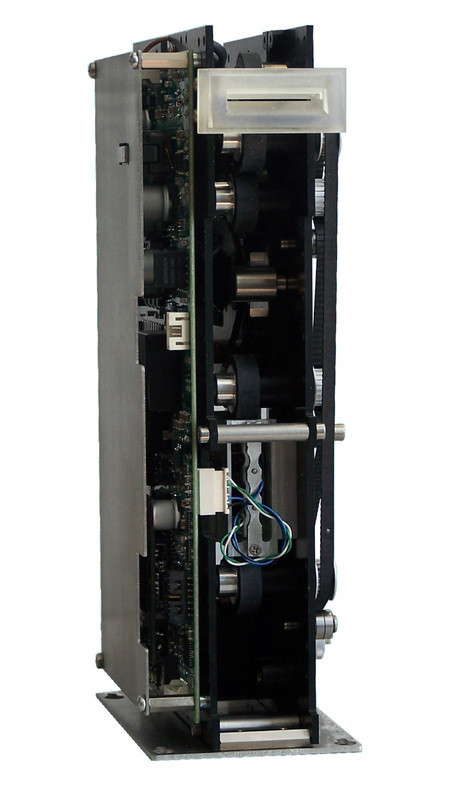 The EDMO FVP module can also be installed in vertical mode with the bezel in the upper or lower position, as show in the pictures.